Was the one of the first tuning factories in Germany who made tuning parts for the Volkswagen Beetle. 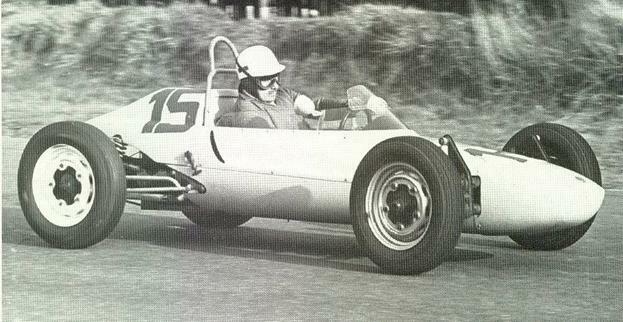 He started his work in his fathers garage with two workmen, with his technical skills he began to get more interest in motor engine sport. For the 25 bhp engine. And two years later with Farm Filters and in 1955 also. In 1957 Oettingers wife gave there first printed brochures away. Oettinger took the possible costumers too the open space area on the IAA for a test drive in a OKRASA beetle. And there, with his friends, he tested it successfully an they send there test result to HOT ROD and Special-Volkswagen. engine parts were shipped to the US. This is the Okrasa beetle at the IAA . 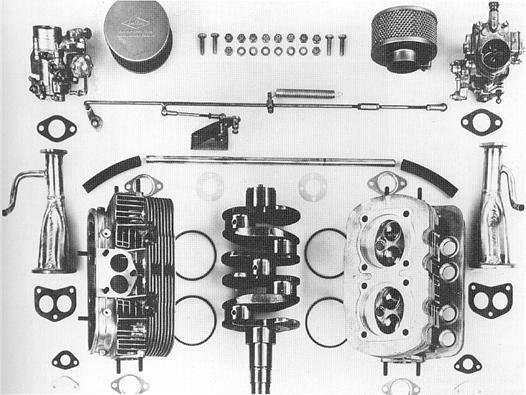 He as also build engines with duel carburetors with the Solex 28 PCI only he changed the emulsion tubes and making special manifolds. These engines had about 38 bhp and run 125 km/h. 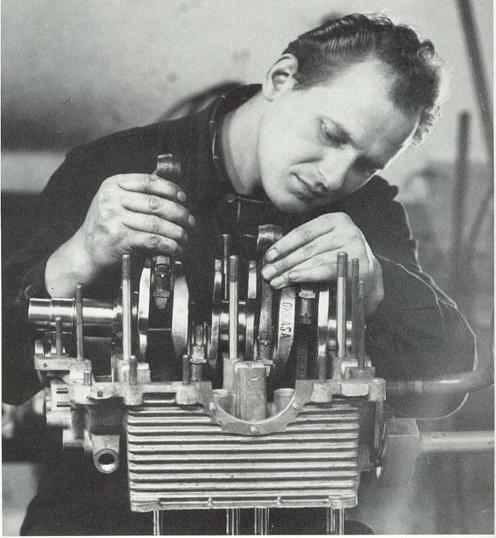 A works man rebuilding an Okrasa engines with a chromemoly crankshaft note the inscription. 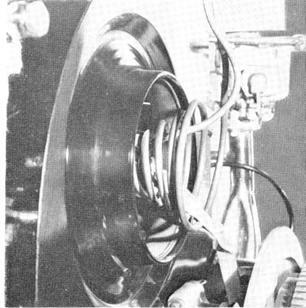 Special manifolds and a chromemoly eight-dowelled counterweighted crankshaft. Through the crankshaft it was possible tot give the engine a capacity of 1295 cc instead of the normal 1195cc. With a compression ratio of 7.8;1. The carburetors where a pair 32 PBIC Solexes with Knecht air filters fitted on the special designed manifolds. Cars fitted with the complete set had about 70 bhp and where running top speeds of 140 km/h are more. Chromemoly crankshaft and had a top speed of 120 km/h. The engine set could be fitted by Okrasa in Germany are some Volkswagen dealers did it there self. 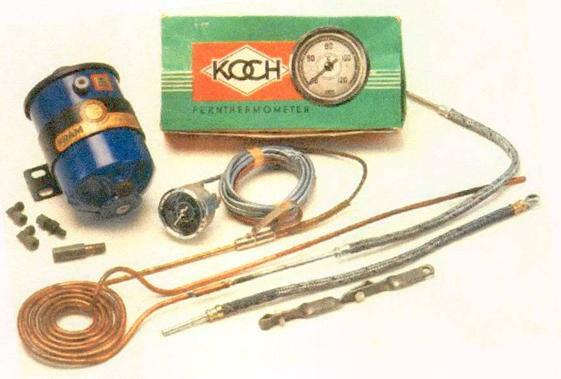 There was also an optional FRAM oil filter and cooler and the oil gauge was also option. In oil gauge was the name of OETTINGER printed. This is the option packed that you could order. This how the oil cooler was installed. 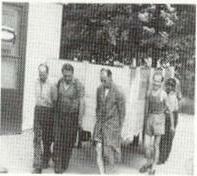 At the end of the 50`s he had about 20 specialist who build about 20 engine sets pro week. He kept divelping new engine parts and tried them self in his VORFHRWAGEN (test car). 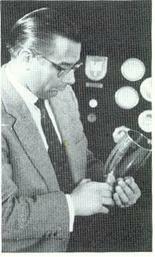 In the beginning of the 60`s they started also to build the bus engines up for better preferment. They are still in the Oettinger`s tuning program . Oettinger has build several rally cars in the late 50`s and 60`s for Scania-Vabis they where in Scandinavia the VAG dealer. The cars where with the support of Volkswagen offered to the FIA and where homologation in the GT class. 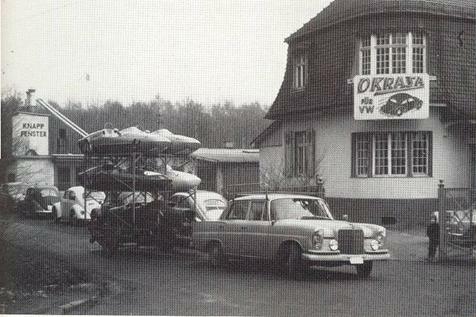 In 1964 was the big event where 5 cars with Oettinger engines came to the start of the rally SPA-SOFIA-LTTICH. They took the 7 and 8 place in the total classifieds. 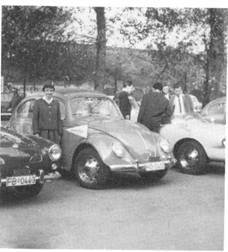 The Belgian importer of VW was so imprested of this all, that he asked Oettinger to build a super KÄFER for street use are competition. They called it the MACH 1, there where 200 sale applications whit in a half an hour. After the news was out in Belgian . Volkswagen works that the Belgian importer had to come to the VW chef Nordhoff,and this was the end of the MACH 1. In the press relays in Welt am Sonntag was standing that the real VW was now build in Brussel and that hurt at the Volkswagen works. They where all build with a special interior and white stripes. To get there a permanent dealer net work. 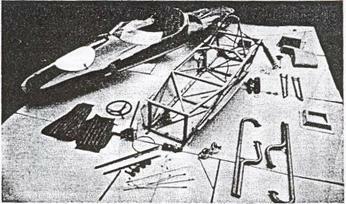 Oettinger also has build complete chassis with there famous engine for a sports car in Australian. 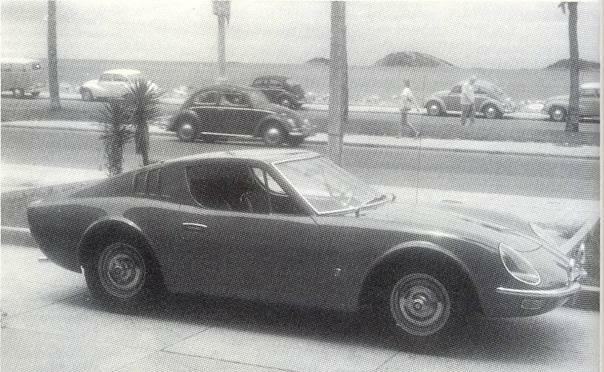 In 1969 there were 19 cars build and the production was canceled. With the parts for the ASCORT ready for shipping. 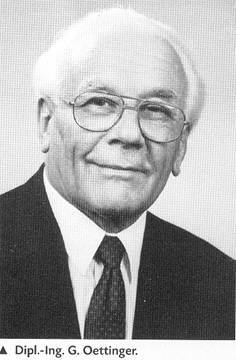 In 1967 Oettinger built the Chrommoly crankshaft with 78,4mm . In the version with 1700 ccm was 80 hp and the 1800 ccm about 85 hp. The firm APAL from Belgian build formula vee car for racing. These racing cars could be offered with a Oettinger 1200 and 1300 ccm single port engines. These engines where only balanced and build with original Volkswagen parts. 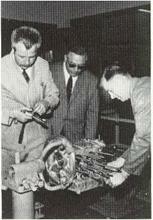 Also in the 70`s they built engines for the super vee they where rebuild VW 412 engines. 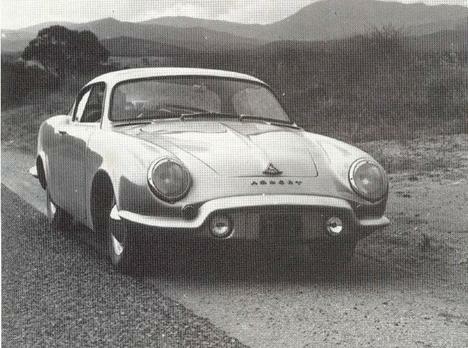 Apal is also making buggys and the replicas of the Porsche 356. This firm is still exits in Belgian. Oettinger kept divelping the engine of the beetle . The pistons and cylinders where enlarged to 1900 ccm . And for the bus with 75 hp at 1900 ccm cylinder bore. And 85hp with 2000 ccm and VW/Porsche engines with 110 hp at 2300 ccm cylinder bore. These cars where also available with Oettinger engines. These cars where oft delivered in yellow with black trim. Oettinger became the house tuner of the Volkswagen work. This is a 1975 made in brazil PUMA. approved for the European marked.